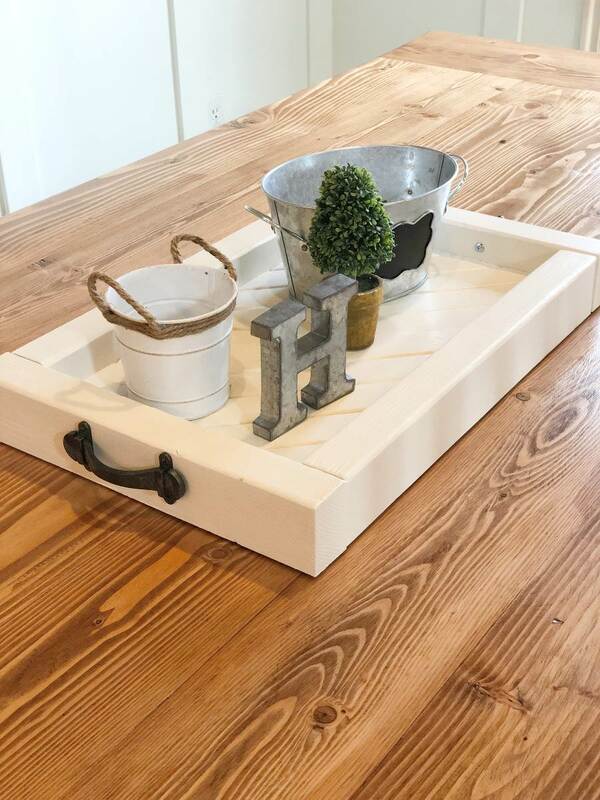 This centerpiece table tray was the perfect “final touch” to my sister’s living room/dining room makeover! post but, you know, the holidays. Are the holidays as crazy for you as they are for me? and it just seems like the season just FLIES! 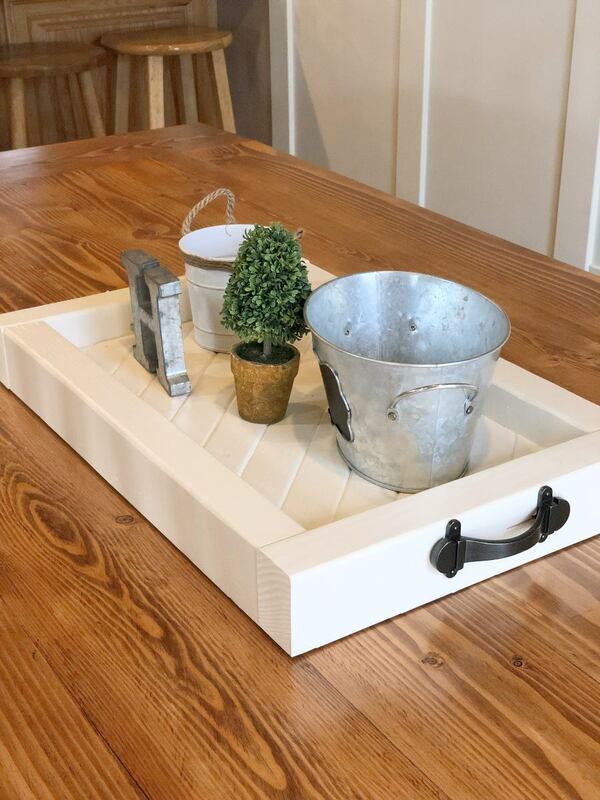 Overalls and Power Saws on Instagram, Facebook, and Pinterest! Cut birch ply to size. 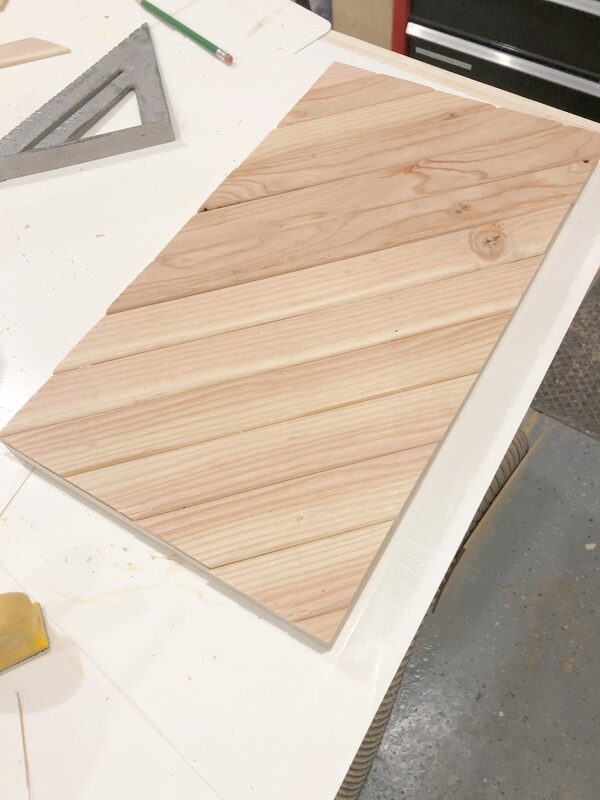 I used a scrap piece of select pine but 3/4″ birch will work perfectly. 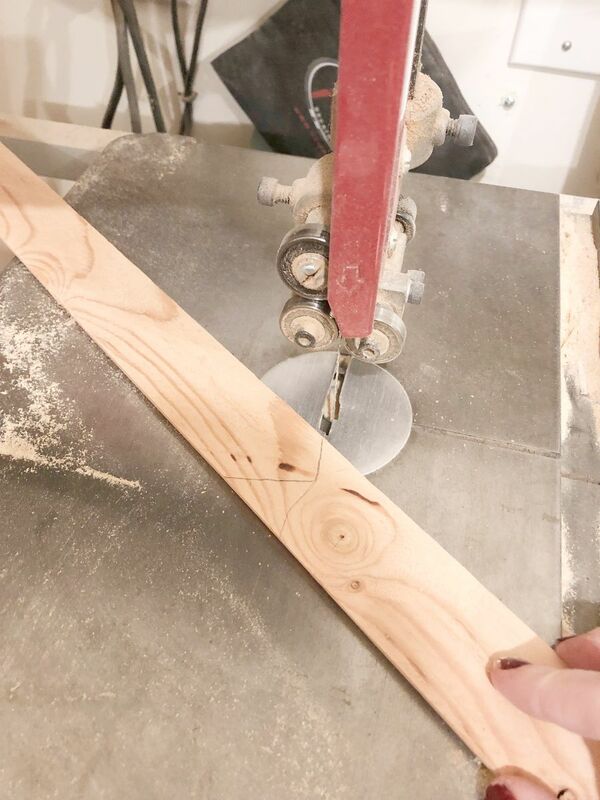 trimming the edge off of a 2×4. I had a bunch of scraps of these and wanted to put them to use. 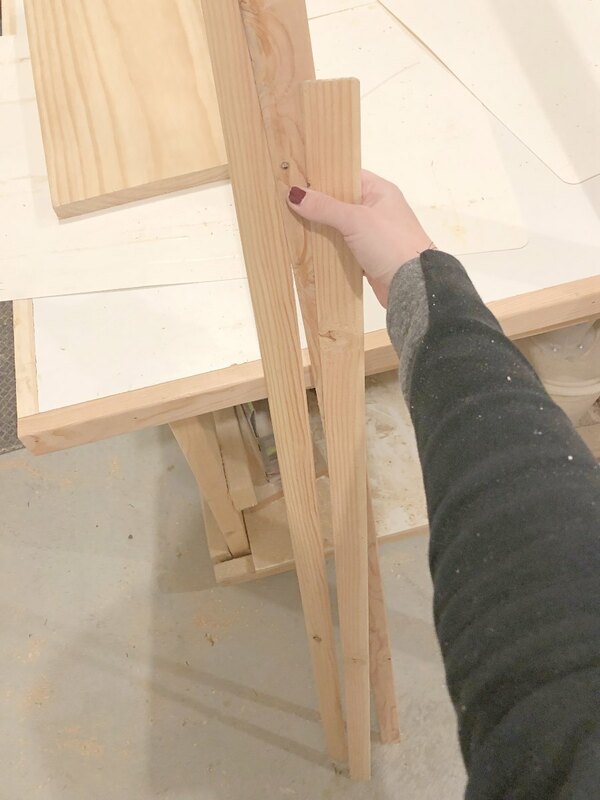 Cut one end at 45 degrees. and use a square to make sure it is flush. At this point I took a pencil and traced under the long side and cut the other 45.
and the room for the typical “parallel vs perpendicular 45’s” fiasco. 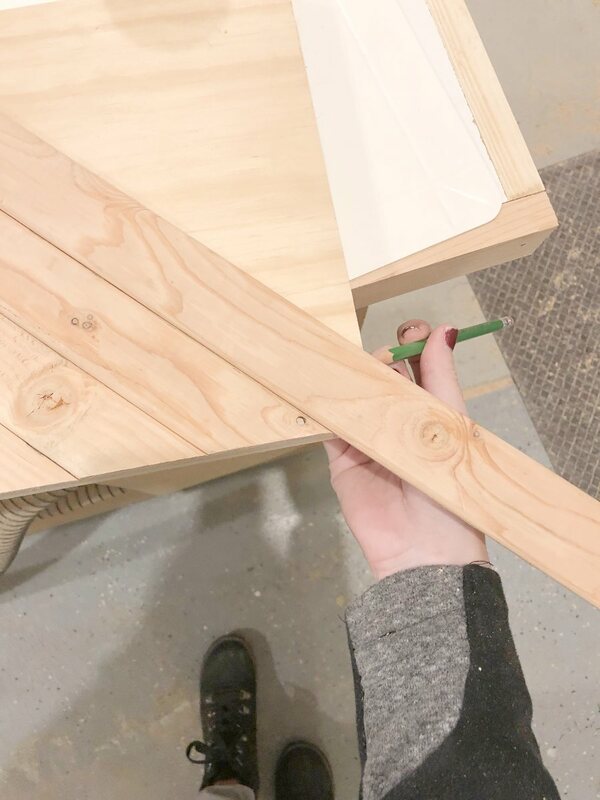 Glue this piece into place. You will now base the rest of your pieces off of this one. The corner is a little tricky. so I held it on and traced from underneath. 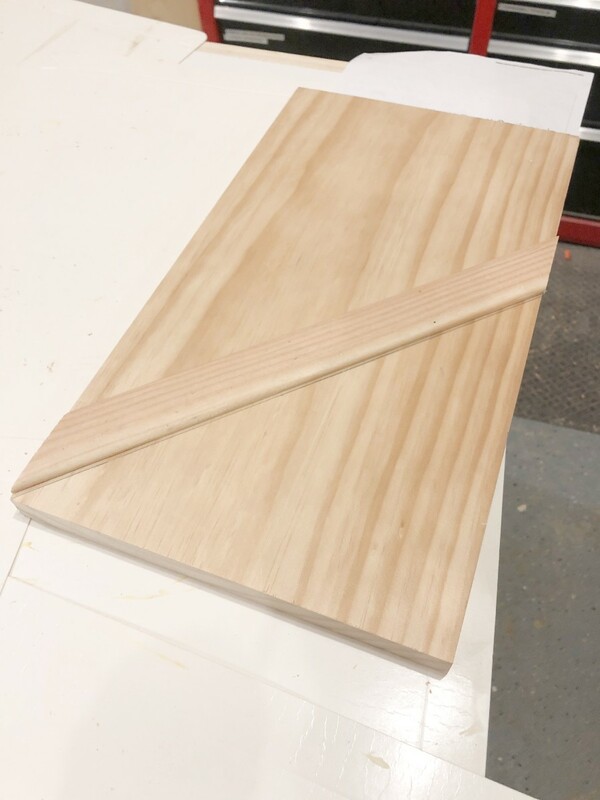 I then took it over to the bandsaw to make the corner cut. You could also use a jigsaw if needed. all in until it was complete. 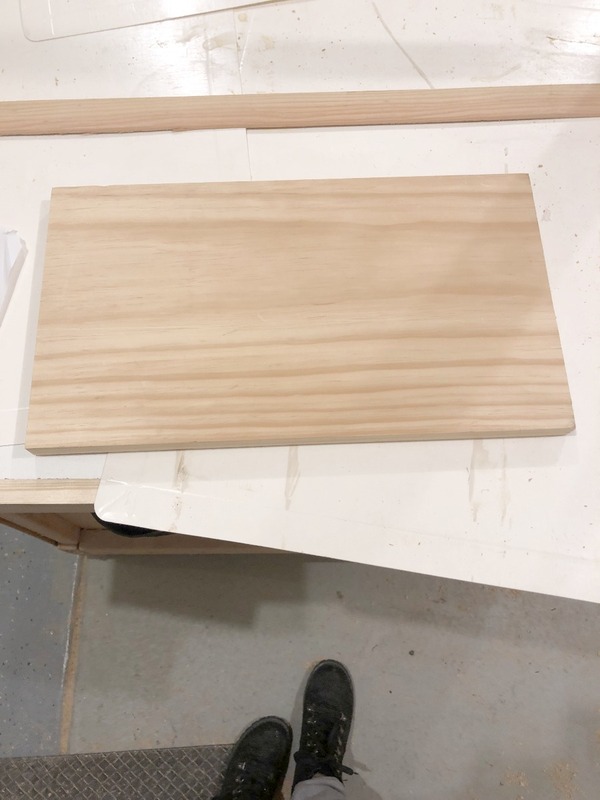 Rip off one rounded over edge of your 2×3 so that the frame to the tray will sit flush against the table. 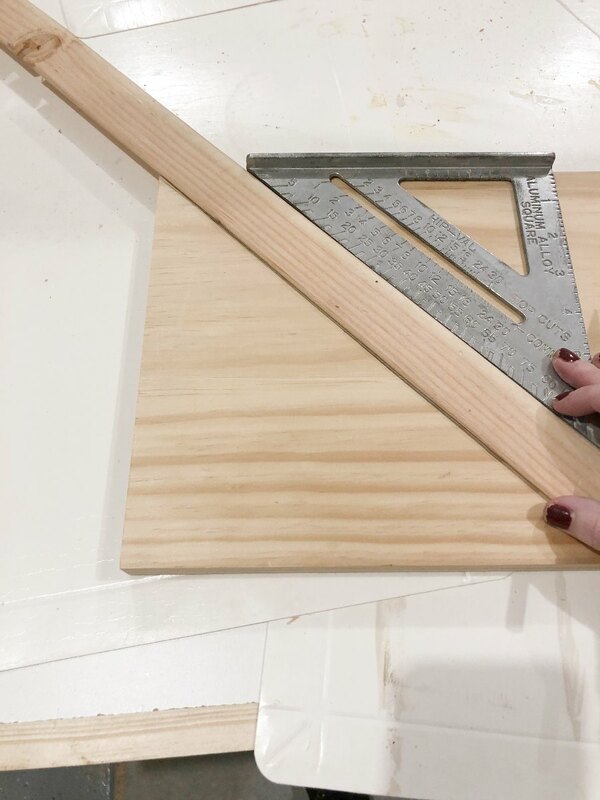 Cut your 2×3 into two 16 1/2″ pieces and two 14″ pieces. and nail them into each other and into the tray. I hope I explained it clearly. Also here’s a finished shot to help. 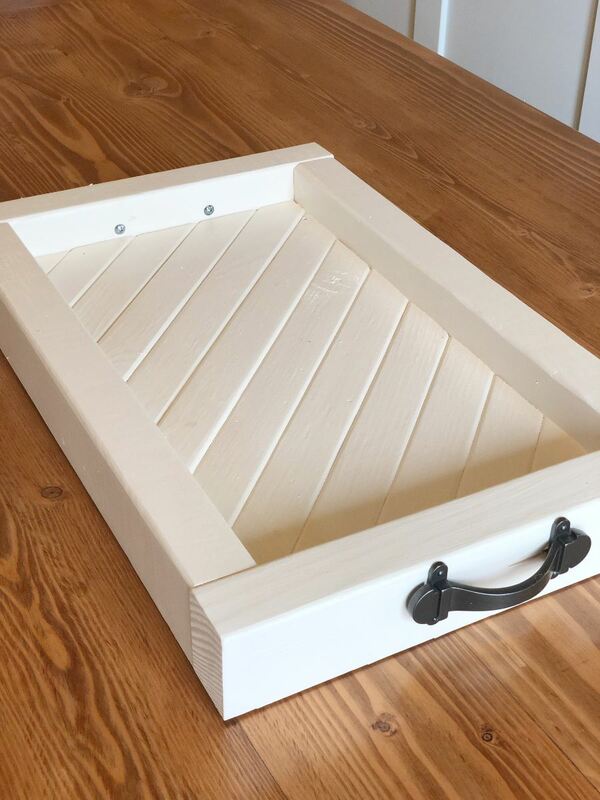 Once it was all framed out I filled the nail holes and painted the tray. I also added those super cute decorative handles I found at Home Depot. 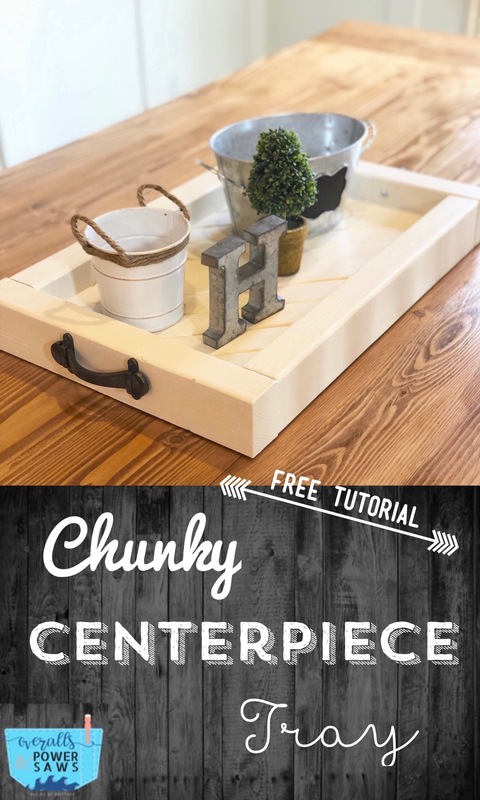 And your little Chunky Centerpiece Tray is finished! PIN this project, and tell your friends!